Win 8gb pen drives and memory cards to celebrate your new year with Coolpctips.com. It has been an amazing year for Coolpctips so far and we are very thankful for your support. Without our fans and readers its not possible for coolpctips to gain this respect. We promise you to publish the latest information on every revolutionary gadget, new technologies and other important updates as many as we can. Today, we want our users to grab these devices this new year as a gift from coolpctips team. We are giving two Scandisk 8GB USB drives and two Strontium 8GB MMC cards for your mobile phone. There is nothing much you have to do in 8gb pen drives and memory cards giveaway. Just follow the simple steps given below the article and make sure you follow those steps carefully. We will announce the lucky winner on 15th January 2012. But first check out the products which we are giving this new year for our readers. 1) SanDisk Cruzer Blade 8GB Pen Drive : This hi-speed USB 2.0 pendrive has an amazing transfer rate up to 480 Mbps. This drive is very fast, compact and simple. It can support even USB 1.1 with 12 Mbps transfer rate. You can strore a lot of data in this Plug and Play 8 GB drive. No need to install any drivers and this little device is compatible with any laptop, desktop, tablet. 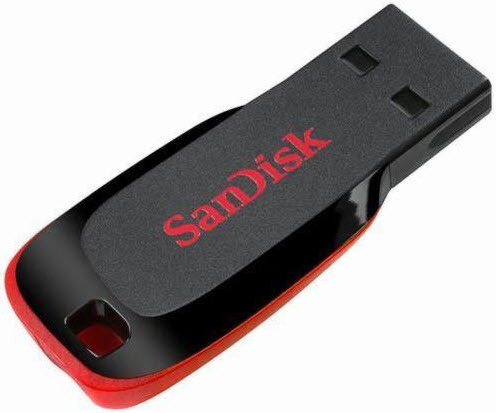 The MRP of this device is around Rs : 1,699/- We are giving two SanDisk Cruzer pen drives to our readers. If you are lucky enough, you can win both the pen drive and memory card. 2) Strontium 8GB Micro SD Memory Card : Strontium is a popular flash memory manufacturer which manufactures over 500,000 memory cards and 1,200,0000 flash products every month. You can win a 5 year warranty MMC 8 GB memory card from coolpctips. The key features are, it supports SD system specification version 2.0, card capacity of non secure area support, supports SD SPI mode, designed for read only and read write cards, variable clock rate 0.25MHz, up to 6MB/sec interface speed and a write protect feature with amazing High transmission speed. The MRP of this Strontium 8GB MicroSD Memory Card is Rs : 1999/- We are giving two of the cards for our readers this year. Follow the below steps to get this gifts. The winner will be selected on basis of points earned. 1) Share the 8gb pen drives & memory cards giveaway on your Facebook and Tag at least 2 friends in it. (Your profile should not be locked, we have to check the share and it has to be on your wall until the giveaway is completed) The more number of friends you tag, the more points you can earn. Each friend can bring you 1 point to your score. 2) Post a comment on this 8gb pen drives & memory cards giveaway. A good comment can get you good comment. For this you can earn 5 points. Topics : Google Penalty Updates, Unnatural link penalty, Google Disavow tool, Google Warnings, Webmaster tool guidance, How to, and Finally recovery strategy. That’s it ! The winner will be selected only on basis of points. We will track each and every share and comment you do. There will be a total of four winners. I hope you will have a happy and prosperous new year. Coolpctips wishes a Happy New year to our readers, fans and friends. nice giveaway for beginning of new year. HAPPY NEW YEAR MR.SATISH AND COOLPCTIPS OTHER AUTHORS AND FORUM MEMBERS…. I have also shared it with all of my friends…. Guys, please dont leave your email ids, read the article to check the process. You have to share it on facebook to get points. Your email id has nothing to do. this giveaway is really great….thanks to the maker…. Hello, i have almost all the articles on your blog and all were quite amazing and different articles. Thanks a lot Satish for sucha wonderful giveaway. You will really make someone’s(winners) new years exciting . Did all the steps . Good luck to all participants and a happy new year. I hope i will be in the list of give away winners.. Here you can find the link of this post on my wall.. Shared in more than 15groups and counting.. I guess it safe i publish the group link.where i publishd this post. This a beautiful giveaway. Thank you and Happy New Year 2012.
and shared in 20 groups..
shared it on my wall.. count me in..
Hey a very nice and informative post on giveaway. I really like the post and i have also suggested my friends to share your post. These types of giveaway shows that you really have lot of experience which shows that you are too keen to your work. I am really impressed by your post and your work done on this site….As i am bit late but i have tried my best. You can see my posts and the group share below. I have also tweeted this post on my twitter. I have also subscribed to your feeds. I have tagged as many as my friends i can…. as i don’t know too much about group url…but i give you url of Group…u can see i hv posted your GIVEAWAY…..
Thanxs a lot of everything. Thank you!! Hi,joining!I love the4 sundisk USB drive!Hope I can win it! A very good giveaway from you. I hope I win! Thanks CoolPCTips and Happy New Year! great offer from you guys. count me in. nice giveaway!!!. this is why God continues to give you blessings..because He knows, you share your blessings to pthers..more power! i already shared the giveaway! shared the giveaway link on facebook. A good purposefull giveaway from coolpctips. I have just read your whole article and also i’m your reader and i like this new year skim so i decide to win it if you will choose me. Good initiative By CoolPcTips. Hoping to win this one. awesome giveaway!its really a big gifts for us this kind of gadgets!happy new year! shared this on my fb wall..
if i win in this 8GB USB Drives, 8GB MMC Cards giveaway contest, i will give it to my daughter, she really need it for her study.. thanks! Thanks CoolPCTips for this great giveaway! Happy New Year Coolpctips and thank you so much for the chance to win! By the way, I am also a subscriber. What an awesome giveaway! Thanks CoolPCTips for the opportunity! Really awesome site. Useful tips and informative posts update yourself daily. if i win in this 8GB USB Drives, 8GB MMC Cards giveaway contest, i will give it to my son, he really need it for her study.. thanks! Wow, this the electronic purse which i can have with all of my data.thanks. Total Points Now are 270..
4) Shruthi – 180 Points. The top 2 winners can win any 1 of the following 8 GB USB or 8 GB MMC. The Last two winner must will get what is available from 8 GB USB and 8 GB MMC. If both the winners are select 8GB USB, the last two will get 8GB MMC. Congrats Guys.. Please send your personal address to satish@coolpctips.com. The product will be delivered in the first week of Feb 2012. Thank you everyone for participating in the giveaway.. It was really a good response. We will conduct this kind of giveaways every month to keep you happy 🙂 Be active to win more prizes. Thank u ScanDisk for this awesome giveaway..